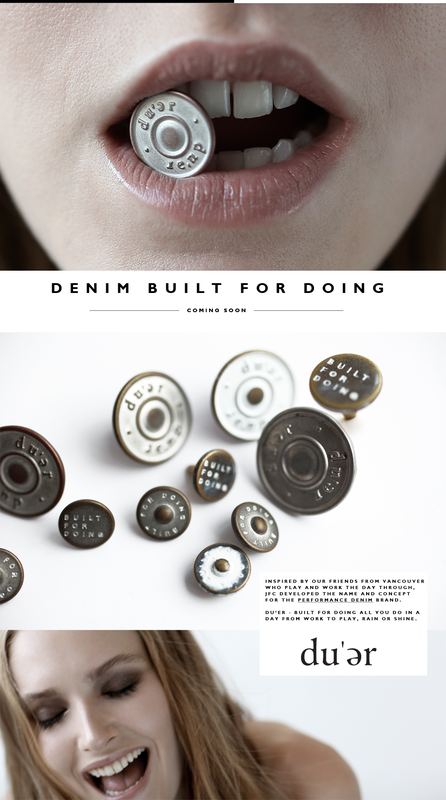 The denim company approached JFC to develop the concept and brand for a new line using performance denim. 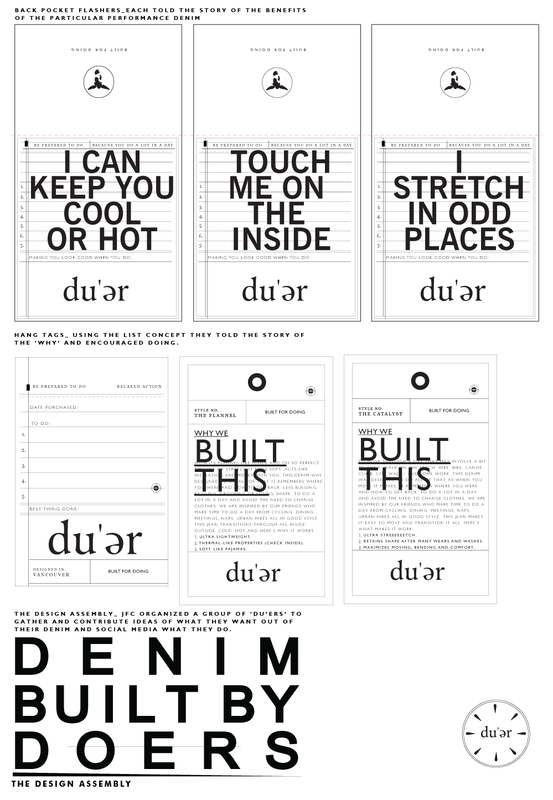 Denim that would have various attributes such as water resistant, dirt repelling, keeping cool, keeping warm and more. With Vancouver as our home base, we saw a natural fit to play with the urban meets nature city where people do some form of outdoor activity during the day. They work and play throughout the day. Just as there are cycling jeans, this brand would be inspired by various activities such as hiking, gardening, canoeing and more. Classically designed and functionally purposeful. 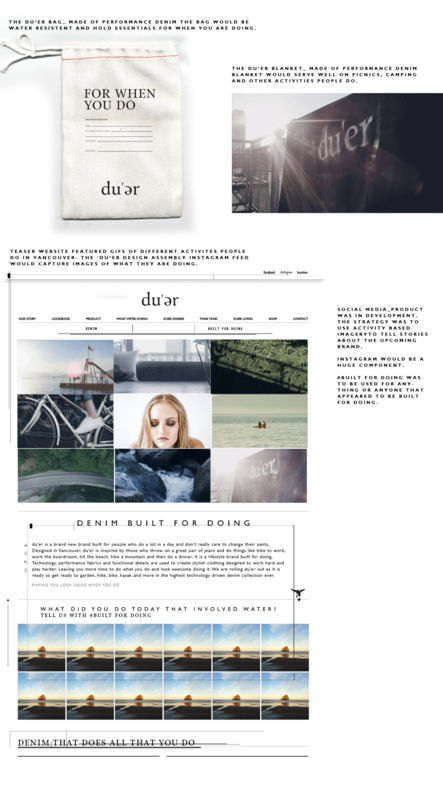 The name du’er was developed based on the concept that these people are doers. The challenge was then to develop a campaign with no product.